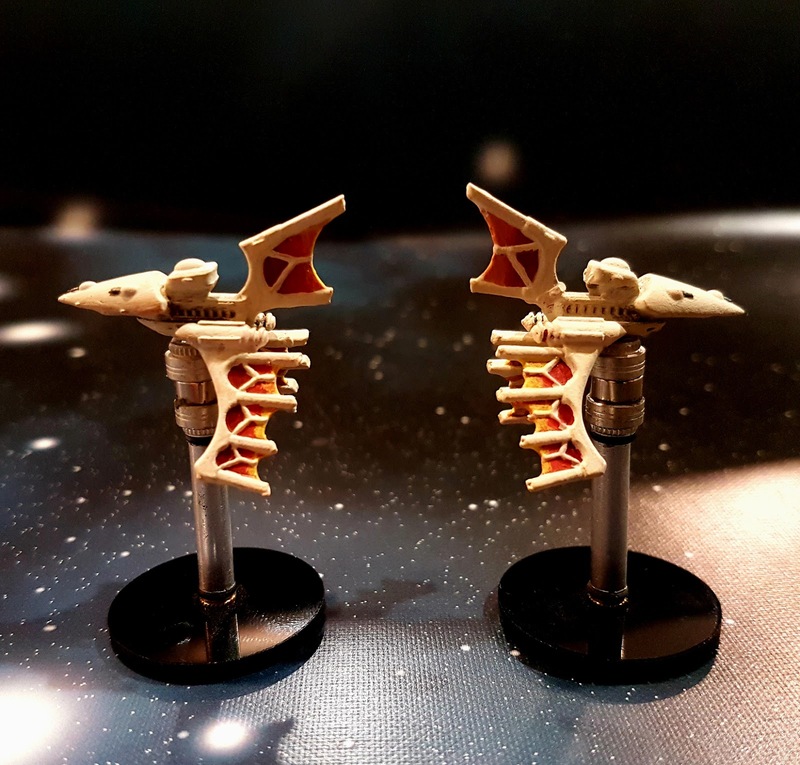 The final pieces of my Eldar fleet are complete! 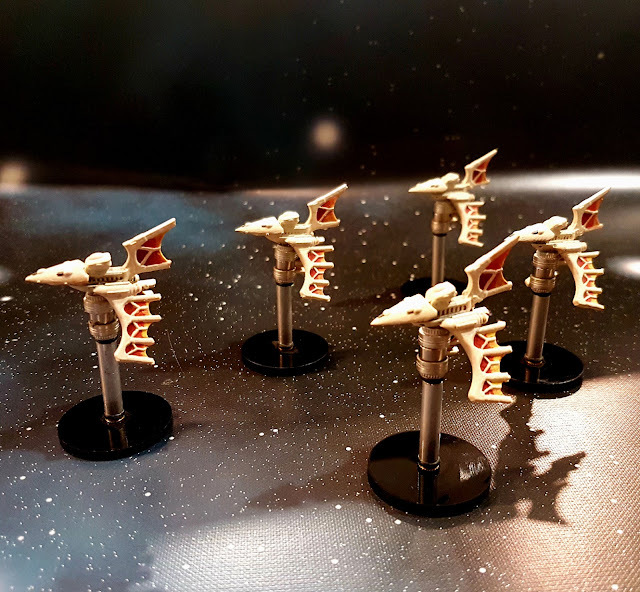 To accompany my Eclipse Class Cruise, Aurora Class Light Cruiser and Hellebore Class Frigates I have painted these 5 Nightshade Class Destroyers. These models are not real Games Workshop figures and are were 3D Printed from Thingiverse. But honestly with this kind of detail who can tell! 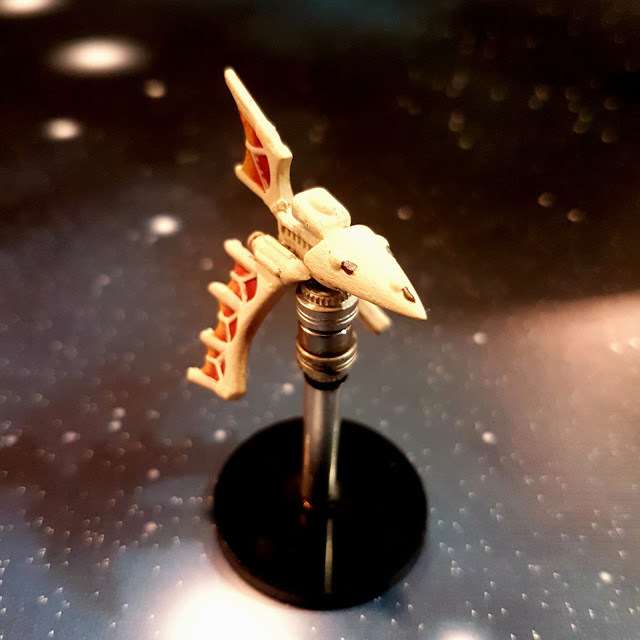 Despite being the same size as a frigate and costing a whopping 50pts to field, the Nightshade is indeed a destroyer class making it one of the smaller ships the Eldar can field. Nightshades are largely torpedo vessels, featuring only a small forward battery and two torpedo tubes. So these vessels aren't much, but with their speed they should be able to hold their own at range. 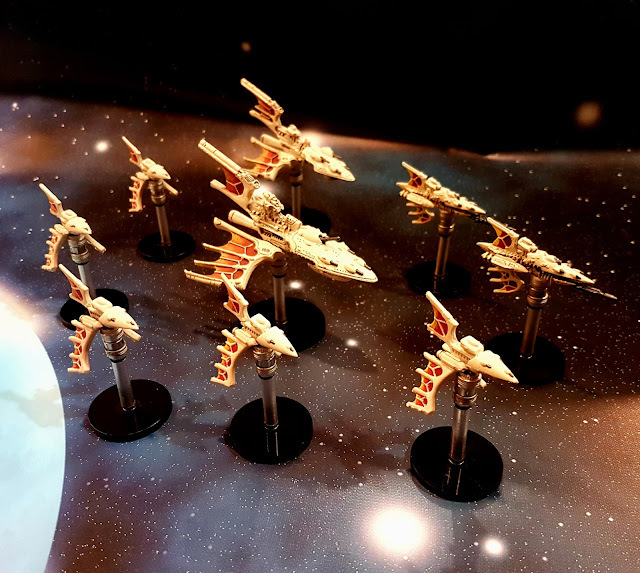 And there it is the Eldar Fleet in all of its glory! So that is 850pts, based off of the BFGXR rules which are fan made revised rules, but I have found to be much more balanced than the original game. After this we are on to creating the Plague Fleet Commanded by Typhus (and eventually the Terminus Est) and then on to the Relictor Space Marine fleet. All three of these will feature in upcoming games in our Curse of the Relictor's Campaign!